Enjoy the top 2 famous quotes, sayings and quotations by Laura Atchison. 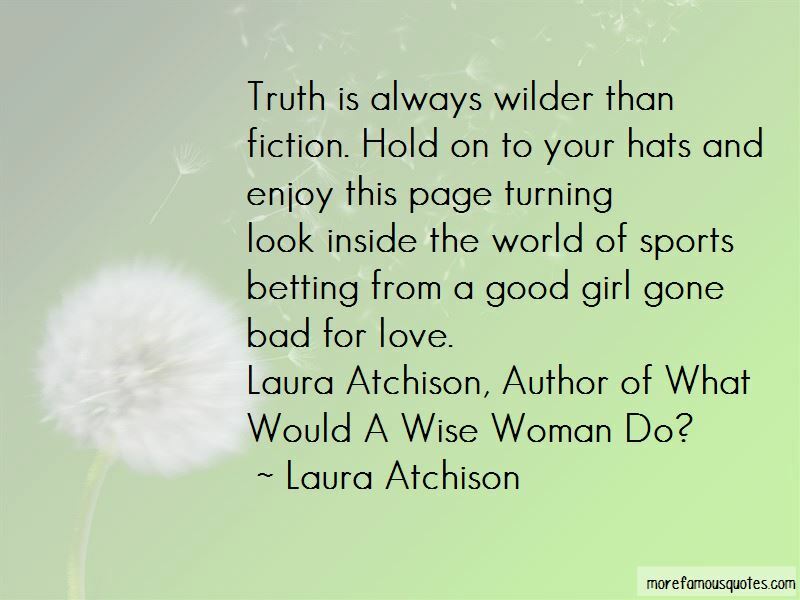 Laura Atchison, Author of What Would A Wise Woman Do? Hold on to your hats and enjoy this page turning look inside the world of sports betting from a good girl gone bad for love. Want to see more pictures of Laura Atchison quotes? 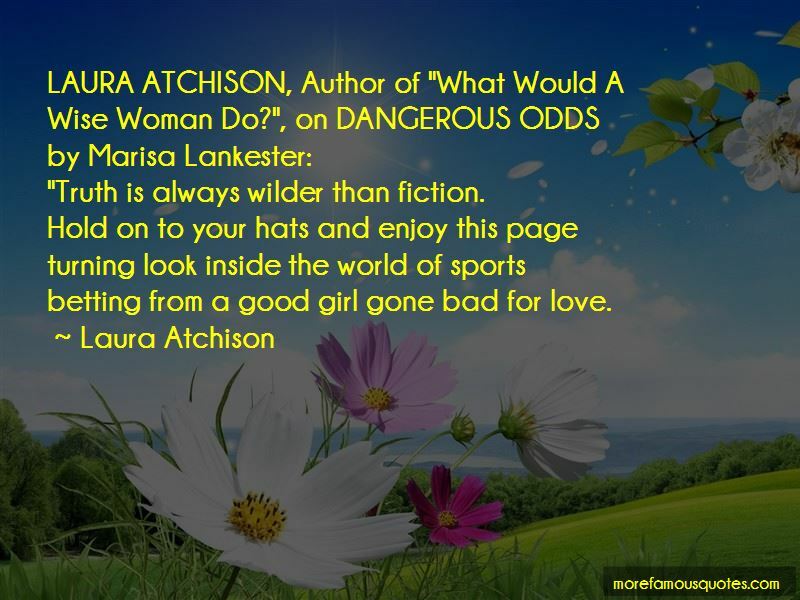 Click on image of Laura Atchison quotes to view full size.